His donor site looks good and Dr. Keser plans to extract 2500 grafts to fill his crown. 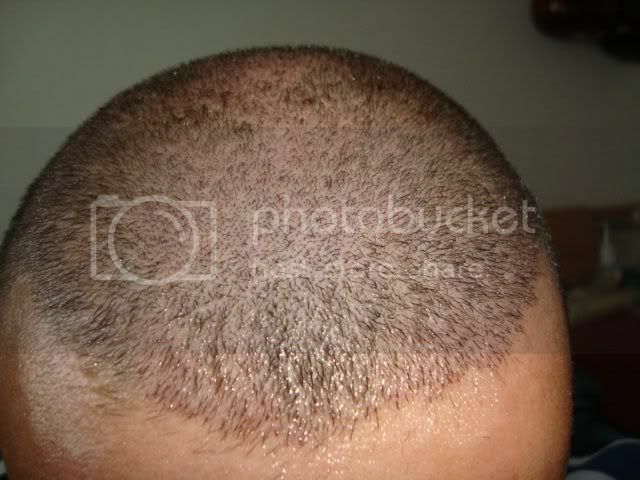 El patrón de alopecia de este paciente no es usual, y él debe de planear su siguiente paso correctamente. Su cuero cabelludo tiene reservas de aproximadamente 6000 FU disponibles (calculadas solamente para FUE) si puede aceptar una densidad del área donante de 50 injertos/cm2 (82 injertos cm/2 en la parte de atrás y 67 injertos cm/2 en los sitios). 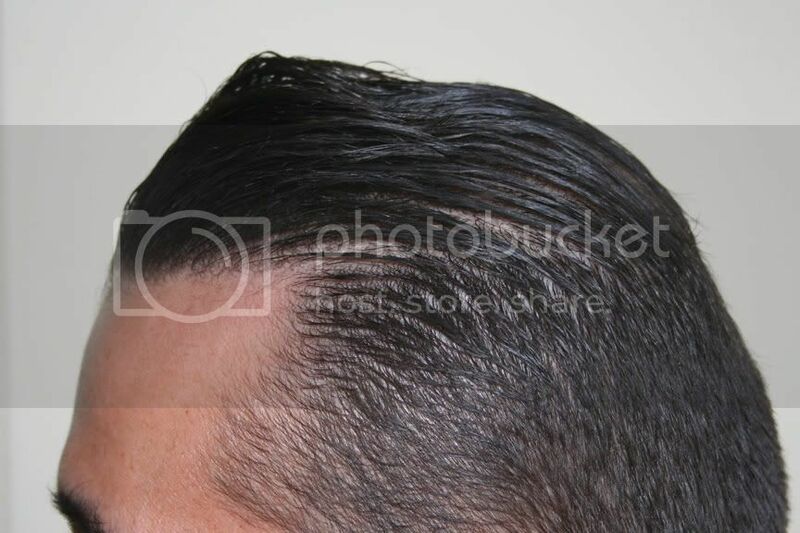 Si comienza una pérdida de cabello en la parte de su línea de pelo, necesitará muchos injertos para cubrir la parte de atrás de ésta. También tiene que pensar en una combinación de FUT/FUE y BHT para llenar su coronilla. Por el momento, él esta planeando su segunda cirugía. 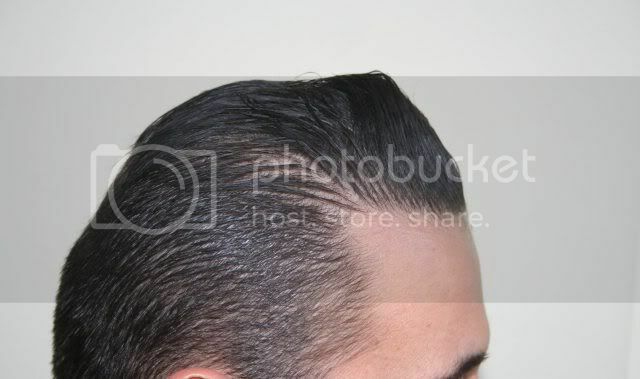 The hairline is so natural, the only thing that I dislike is the combover look going over the crown. 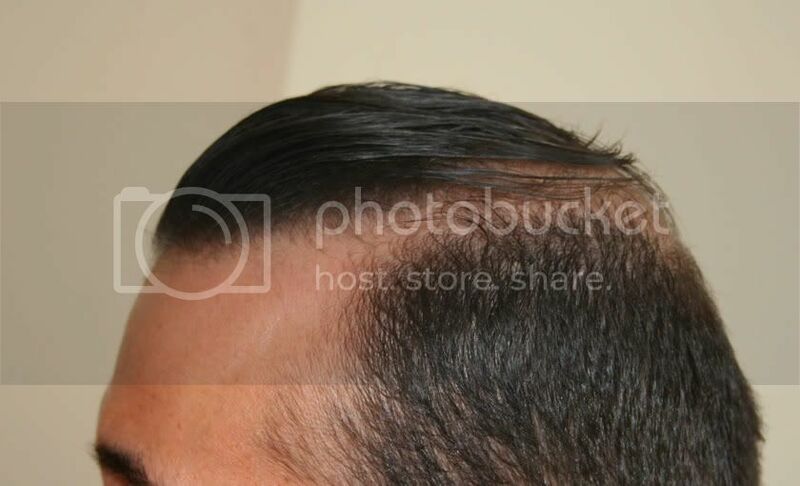 How long has this doctor been doing fue? Does he do body hair transplant also? I apologize for the previous post being in Spanish. I was posting in four languages at the moment and got confused with the browser’s tags. 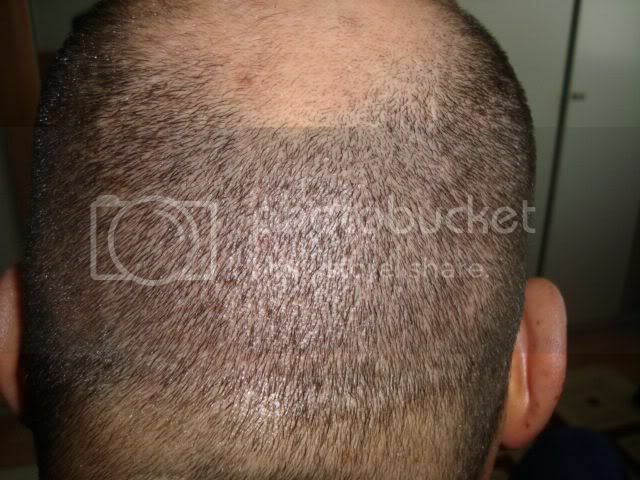 This patient’s baldness pattern is not usual, and he has to plan his next step carefully. 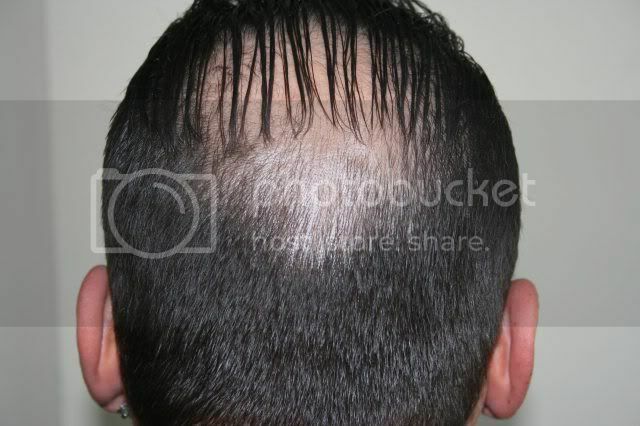 He has about 6000 FU reserves (calculatet only for FUE) if his donor density can provide 50 grafts/cm2 (actually 82grafts/cm2 on the back, and 67grafts/cm2 on the sites). 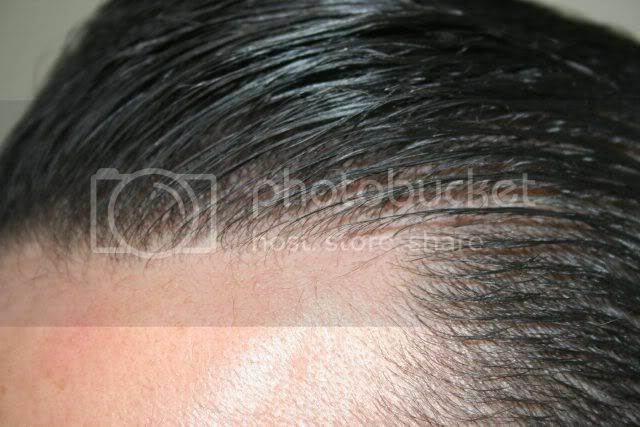 If his hairloss comes back, he will needs a lot of grafts for cover the back part of his hairline. Also, he has to think about a combination of FUT/FUE and BHT to fill up his crown. At the moment he is planing his second surgery and all his options. Dr. Keser began practicing FUE hair transplants in 2003 and since then he has performed more than 400 surgeries. He does BHT, when the case is suitable for it. Derma-Plast, Dr. Keser’s clinic, is in Ankara, Turkey. 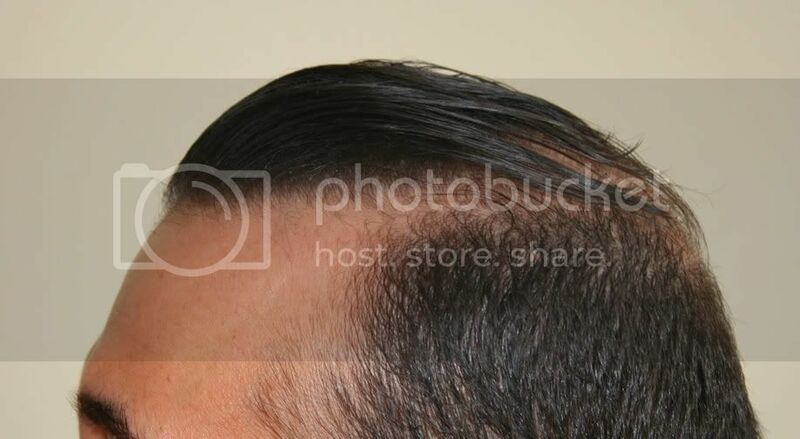 a strip / fue combination is possible with the doctor (for a repair proc)? what would be the cost for strip? excision of old plugs with fue special cost or regular? Dr. Keser only performs FUE. Repair work is on a case by case basis, can’t post a regular price. » Dr. Keser only performs FUE. » Repair work is on a case by case basis, can’t post a regular price. What do you mean “can’t post a regular price” ? » » Dr. Keser only performs FUE. » » Repair work is on a case by case basis, can’t post a regular price. » What do you mean “can’t post a regular price” ? Easy one,if your wearing nice shoes you get charged more,perhaps. 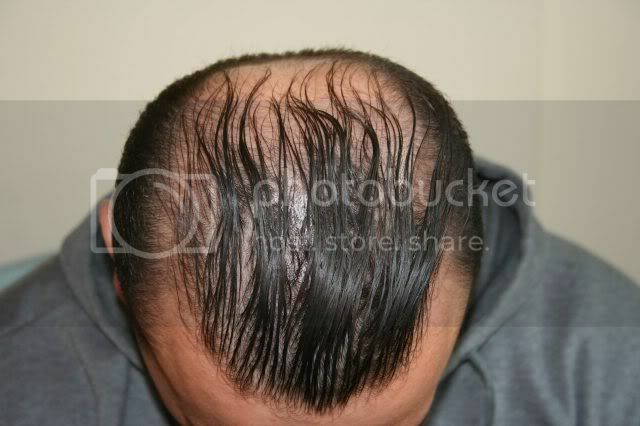 So the before shot is his natural hair loss pattern and not the result of a previous hair transplant? Hmmmm, weird. » previous hair transplant? Hmmmm, weird. I think it was said somewhere that the guy’s before condition came from older HTs. It certainly looks that way. 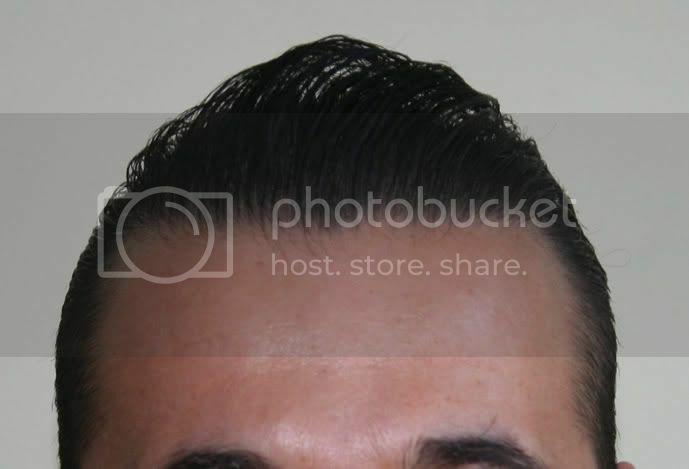 I’m not thinking about the hairlines half as much as the graft density this doc is achieving with these recent showoff cases. This is as much graft survival with dense-packed FUE as I can recall seeing from any HT doc. » languages at the moment and got confused with the browser’s tags. » back, and 67grafts/cm2 on the sites). » FUT/FUE and BHT to fill up his crown. » At the moment he is planing his second surgery and all his options. He just had 2200 FUE grafts. You now state that he has 6000 fue in reserve!? That’s impossible. But, it is possible if you totally disregard huge moth eaten looking areas, empty spots surrounding his head like a leopard. 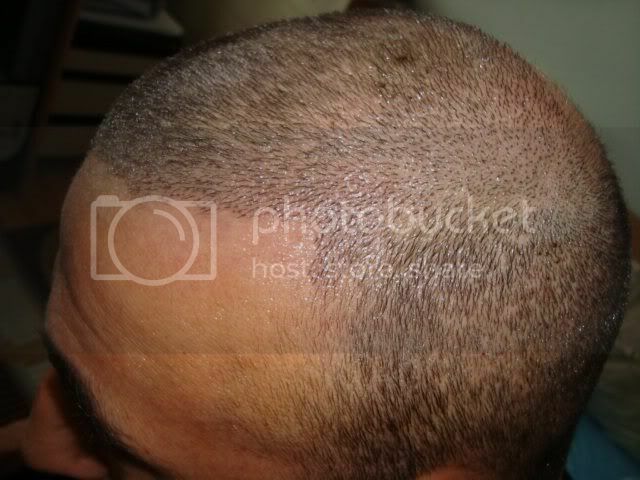 I had 2500-2800 fue grafts and admitedly I have small empty spots around my head. Everyone should be aware that I can post pictures and make it look like its a perfect donor extracted looking site. But in reality it is “IMPOSSIBLE” to get over 2500 fue grafts and NOT have moth eaten spots! Can you imagine this with 8200 fue??? Am I the only one reading this? » » languages at the moment and got confused with the browser’s tags. » » back, and 67grafts/cm2 on the sites). » » FUT/FUE and BHT to fill up his crown. » » At the moment he is planing his second surgery and all his options. » » suitable for it. » is “IMPOSSIBLE” to get over 2500 fue grafts and NOT have moth eaten spots! » Can you imagine this with 8200 fue??? Am I the only one reading this? He can go for a second surgery with 2500 grafts with FUE and have to wait if his donor looks still good after it or not. And this guy has never e previous procedure. On the pics you see a gray line like a scar. but this line comes from the healing cream and the bandage. you can see it also on the post op pic from the left side. I will update this case soon with a video documentation. I’ve never seen a naturally-occurring situation like that, EVER. Nothing even close. I don’t see any incentive for the clinic to mislead on this particular issue. But I’m amazed here. I just don’t see how that could be an untransplanted head to begin with. 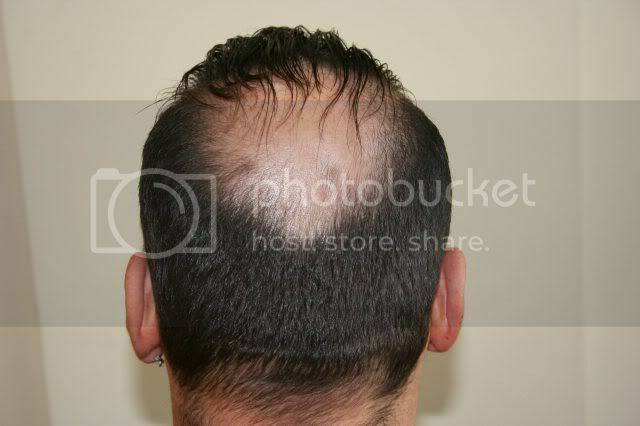 This patient has a very unusual baldness pattern to begin with, as I pointed out before. 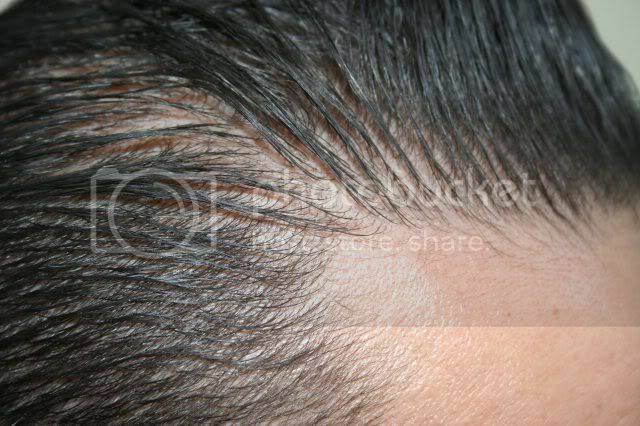 Under close examination of the hairline and mid scalp, you can see it’s not the result of a hair transplant, and it looks very natural. 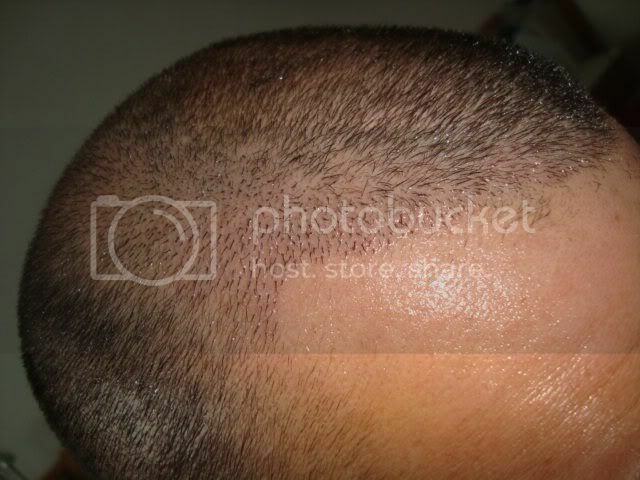 The after photos (including the photo posted by cal), look very natural also, and it’s a hair transplant. As for the 6000 FU reserves, it all depends on the transplanting doctor’s abilities. Dr. Keser is experienced enough not to leave empty spots that will destroy the appearance of the donor areas. 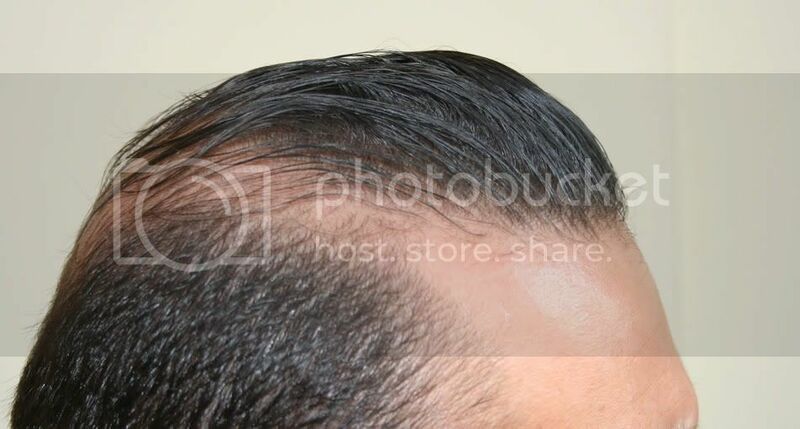 A patient must choose how sparse he wants his donor area to look like, in order to provide enough grafts for the hairless parts, for those areas to look even, and meet his expectations regarding the overall appearance of his scalp and hair. » if his donor looks still good after it or not. You must be joking right?then why you through the 6000 FU left in reserve if realistically they cannot be extracted until you see how his donor will look?? ?What kind of reserve is that!!! The work looks great and your comments are well taken.